Security team professionals are all too familiar with the task of keeping up with developing technology and improved solutions for campus protection. Frequent, rapid changes make it critical for security management not only to stay abreast of these new technologies, but understand the difference between passing trends and multi-layered security solutions that add value and strengthen a Risk and Vulnerability Assessment Plan (RVAP). This blog focuses on three campus security technologies that have not only stood the test of time, but have evolved to become advanced staples in any Critical Infrastructure Protection (CIP) plan. Rather than examining product features and effectiveness alone, additional context around deployment and integration will also be considered. Emergency pedestals have been around for decades. From fire pull alarms, to 911 emergency hotlines in parking lots, these pedestals have progressed from simple analog wall devices to highly sophisticated, integrated, solar-powered units. Emergency pedestals are typically located in remote areas of a campus often identified as higher risk zones and are used to prevent assault, theft, and vandalism. The pedestals allow for instant communication with first responders while providing an additional sense of security for students, faculty and campus visitors. These pedestals are aesthetically pleasing, serving as both LED lamp posts and camera supports. They also have alloy finishes making them resistant to vandalism. If someone on campus is in distress, feels unsafe, or observes an event that requires instant attention, the emergency pedestals can contact help with the push of a button. From a response perspective, the pedestals tell campus security professionals the precise location where an issue is occurring, allowing them to initiate immediate situational awareness protocols including two-way communication and dispatch of physical security forces, while simultaneously activating nearby high-resolution cameras. These protocols not only provide greater insight to the security team, but record the surrounding area to monitor chain of custody and assist in future investigations. Over the last five years, camera resolution, chip-sets and image clarity have evolved tremendously. At their core, surveillance cameras are a video capture and communication device, critical to overall campus security health and posture. A surveillance configuration that uses multiple cameras can provide larger panoramic, and in some instances even four-corner views of an intersection, using a single IP address and VMS license. This enables security officers to monitor multiple directions simultaneously while significantly reducing or eliminating blind spots altogether. A typical dome camera may have as many as eight individual sensors, each with their own PTZ (pan–tilt–zoom) capabilities operating independently from the other sensors inside the dome. Improvements in data compression now provide greater value with video storage services. For example, standard H.264 compression coupled with an individual camera’s proprietary software can increase storage capacity by over 90%. This increase allows campus security to store video files for longer periods of time, assisting in possible future investigations. It also reduces the traditional costs associated with maintaining larger files on video management storage devices. Advances in camera technology have mitigated historic video quality issues such as wind destabilization, excessive vibration, motion blur from fast moving objects, nighttime color loss and glare from powerful lighting like headlights or intentional camera blinding. An unfortunate necessity for every CIP plan today, each horrific event and subsequent news headline highlights the need for campus security to protect against active shooter scenarios. There are proven and cost-effective gunshot detection solutions that help provide a critical layer of security in two distinct ways. First, these solutions actively monitor the environment inside and outside your buildings, “listening” for the distinct sound of a gunshot, which to date has not been successfully spoofed or imitated (according to the two largest manufacturers of these products). As soon as a gunshot is detected, information is instantly distributed via Campus Public Address systems and phone/email/text alert to pre-determined security forces, critical leadership, and local FBI and law enforcement. The alerts also provide clear instructions to help mitigate panic and chaos throughout the campus population. In addition, the interactive software collects location data and provides first responders with a schematic of the building or compound, annotating both where the initial gunshot was recorded and the locations of any subsequent shots, giving responders insight into the movement of the shooter. Second, since gunshot detection systems are monitored 24/7 and cannot be spoofed, they confidently and accurately eliminate false alarms and any resulting unnecessary panic after an accidental or intentional false alarm is reported to authorities. When a call is received about possible gunshots fired, the security team can quickly determine whether the event in question was actually was a gunshot or not. As periodic reviews and updates are made to an RVAP, many security professionals rely on a partnering organization to help monitor the field of emerging security technologies and provide subject matter expertise in discussing the viability of new solutions. A robust CIP program will also include research into current applications of new technology, as well as analysis of security trends including event likelihood and impact of an event versus the cost to mitigate. Seek out a partner who can not only help your organization research, plan, purchase and implement a robust family of CIP products, but can learn the unique challenges of your campus and help iterate and grow your security program as needs evolve over time. 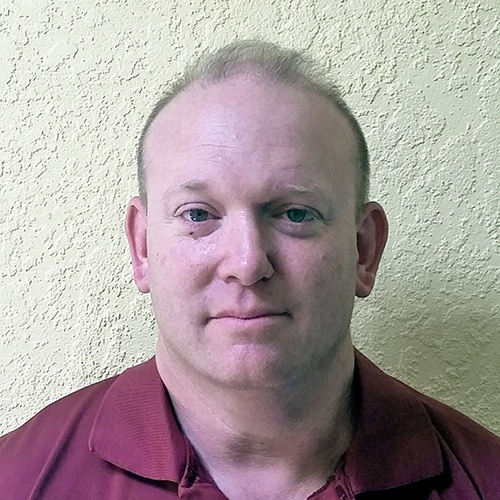 Jason is a senior application engineer who focuses on DoD secure communications, information management, ISP/OSP cable, facility designs and specifications, and our leading DHS CIP Secure(it) initiative with a focus on energy. He provides direct engineering and sales support to the regional government and government strategic account managers across the WESCO Solutions spectrum.